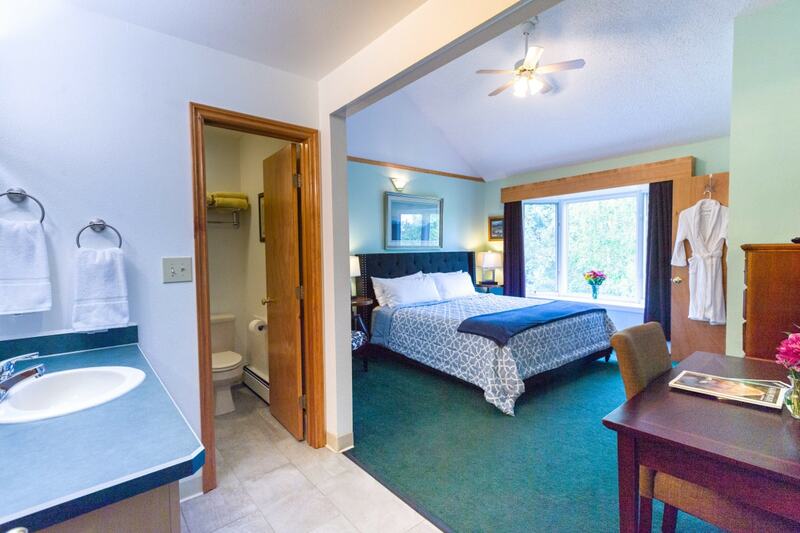 The Susitna Suite is located on the upper level of the Bed and Breakfast and has a king size bed and private ensuite bath. The large bay window looks to the west and allows for plenty of sunlight to fill the room. The above rate covers 2 guest. 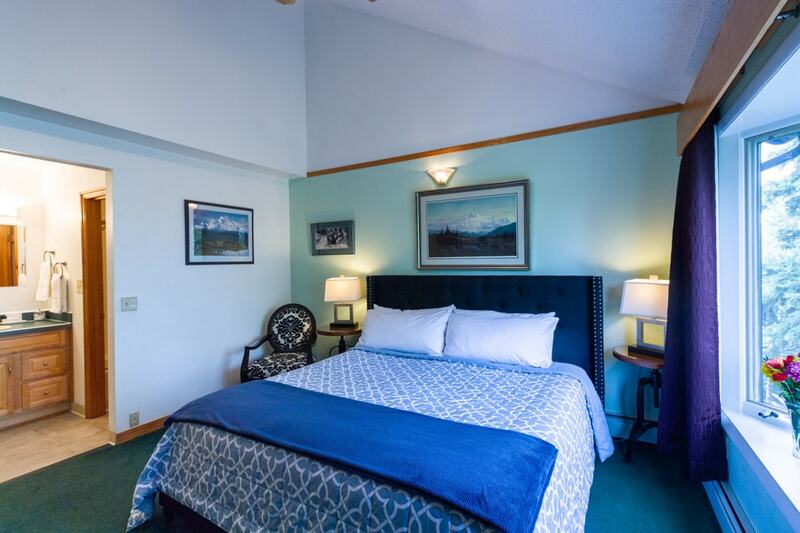 For each additional guest add $20/per night.